Welcome to Chicago Title Oregon! From the simplest residential closing to the most complex commercial real estate transactions, Chicago Title is committed to providing unmatched expertise and exceptional customer service. Our goal is to help lenders, builders, developers, attorneys and real estate professionals grow and succeed. And for our residential customers, we insure protection for your most important asset – your home. In addition to title insurance, escrow and closing services, we provide an array of title-related services. 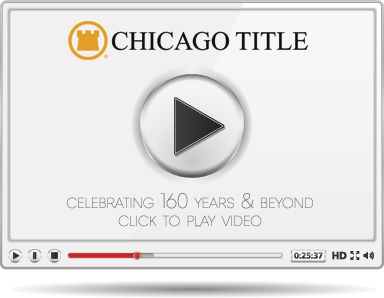 If you are interested in learning more about any of these title-related services, please contact your local Chicago Title representative or click on the link on the right for more information.